My co-writer, John Gillis, says “No one leads alone. No one.” When you pull away the perceptual film of “the leader,” you see “leading by two” is everywhere. We can learn how we best pair by looking at others who do it well. One unusual pair is Earlonne Woods and Nigel Poor. 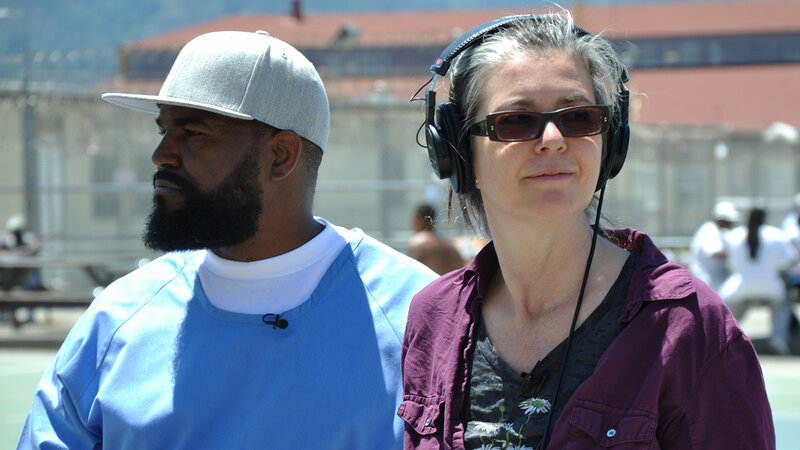 They co-host Ear Hustle, a fascinating podcast about life in San Quentin. Earlonne spent 27 years incarcerated; his sentence was commuted in November 2018 by Governor Jerry Brown. Poor is a photographer and visual artist who volunteered at San Quentin. Their podcast demonstrates thought leadership, challenging assumptions and perceptions about crime, prison and human nature. The series is fascinating. “He wasn’t necessarily a good talker because he was always quiet. I’m always interested in people who fade into the background, because I suspect they could be the most interesting people in the room. I observed Earlonne a lot. Yes he was quiet, but he was always present, and he was always ready to help…Whenever there was an issue…Earlonne was the one who would speak up, cut through all of the baloney, and get to the point…Those are the qualities that you need to bring people out. Balancing work ethic matters. In my coaching of “troubled” pairs, uneven work ethic has repeatedly been a great underminer. Listening matters – at least as much as talking. Susan Cain’s book Quiet is replete with examples of the power of those who may appear not to be fully engaged but who are active keen observers, as Earlonne is described above. Don’t overlook such potential partners. I’m always interested in people who fade into the background, because I suspect they could be the most interesting people in the room. “Cut through all the baloney.” Great partners raise issues. Great partners share what they are observing, then ask, listen, then often ask more. The full episode of Fresh Air contains a powerful excerpt of Poor interviewing an inmate. Her ability to ask a direct and hard question without being harsh; her patience in the presence of his obvious discomfort; and her reframing (without backing off) are glorious examples of the amazing power of listening. He gives the no baloney response. Great partners get so smart in this way, by listening with curiosity, kindness, without pushing but without pulling back. Always present. Always ready to help.